Gluten-free Goldfish? Well, they're Goldfish-ish. Pepperidge Farm has begun distributing three varieties of its new Goldfish Puffs - all gluten free - at Target stores nationally. Made mostly with corn meal, the Puffs are more like cheese puffs than traditional Goldfish crackers, but it's good to see another gluten-free Pepperidge Farm product on the shelf, particularly one with the famous Goldfish name on it. 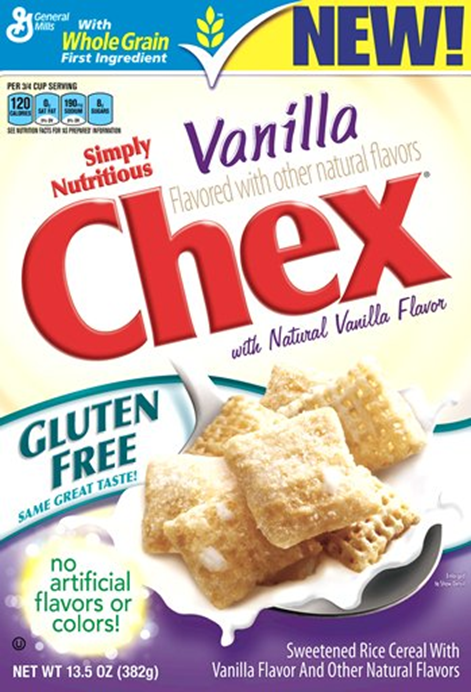 General Mills continues to roll out new gluten-free products. The company's newest cereal flavor is Vanilla Chex, the seventh variety of Chex to bear a "gluten free" label. There's more at the shore to report this week. The newest restaurant at the Revel in Atlantic City (500 Boardwalk, 609-225-9906) is Yubōka Noodle Bar, part of the Jose Garces culinary empire. The opening menu has two gluten-free "small plates": Dragon Vegetable Salad and Mouth Watering Cold Chicken. Meanwhile, Paesano's Philly Style sandwich shop is stocking gluten-free rolls at its new location at Memories in Margate (9518 Amherst Ave., 609-823-2196). The Downbeach location is open Wednesdays through Sundays over the summer, from 11 a.m. to 7 p.m. In Exton, sister restaurants Brickside Grille (540 Wellington Square, 610-321-1600) and The Drafting Room (635 N. Pottstown Pike, 610-363-0521) list gluten-free options on their menus. I'm told, though, that the wings and fries are not prepared in separate fryers. Although not posted online, Carlucci's Waterfront in Mt. Laurel (876 Centerton Rd., 856-235-5737) has a gluten-free menu on hand. Riverton's Milanese Pizza (519 Howard St., 856-786-1414) prepares 12" gluten-free pizzas with separate sauce and cheese, baked on individual pans. Amani's BYOB in Downingtown (105 E. Lancaster Ave., 484-237-8179) has undergone restaurant training through the Gluten Intolerance Group. Down the street, gluten-free-friendly Firecreek will be closing on Sunday. 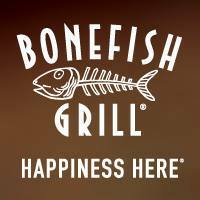 Bonefish Grill, a GIG-trained chain, has opened a location in North Wales (27 Airport Square, 215-361-2932), off of Route 309 across from the Montgomeryville Mall. Bonefish's gluten-free menu was updated in April. GFP contributor Jason reviewed area grilled-cheese sandwich chain Melt Down in Tuesday's post. Reader Amanda C. pointed me to an recent news story about the efforts of Oregon's Widmer Brothers to have its gluten-removed Omission Beer labeled as "gluten free." Current law prohibits beers like Omission and Estella Damm Daura from being labeled as gluten free because they start out with glutenous barley malt as an ingredient. This is significant because there are restaurants, locally and elsewhere, listing these beers on their drink menus as "gluten free." There is much debate about whether the gluten-removed beers can be accurately measured for gluten content with the testing that is currently available. Reader Bethann K. let me know that gluten-free sandwich buns are available at the concession stands at this week's U.S. Open golf tournament at Merion Golf Club in Ardmore. Some minor league ballpark news for you: Allentown's Coca-Cola Park, home of the Phillies' AAA-affiliate Lehigh Valley IronPigs, has gluten-free pizza at the concourse pizza stand near Section 204, while gluten-free cookies from The Grain Exchange and Yogen Fruz are sold at the "Healthy Plate" stand at Arm & Hammer Ballpark, home of the Yankees' AA Trenton Thunder farm team. Have a great weekend and Happy Fathers' Day!